Sorry for the "average" photos-I was having a moment (well several moments) this morning. First up he has my Spinach and Feta Meatball Meal. Note: I warm these up and pack them in a thermos. Next he has some fresh organic blackberries and some organic cucumber. Finally he has a large piece of buttered rustic sourdough bread. Note: Bread is from Trader Joe's butter is Kerrygold. 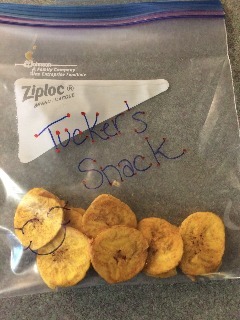 New this year for Kindergarten, Tucker has to bring a morning snack, so today he has Trader Joe's Plantain Chips with peanut butter. 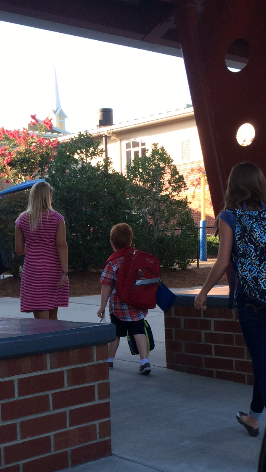 And just like that- my baby is in "real school". So this day was harder on mama than I ever anticipated. 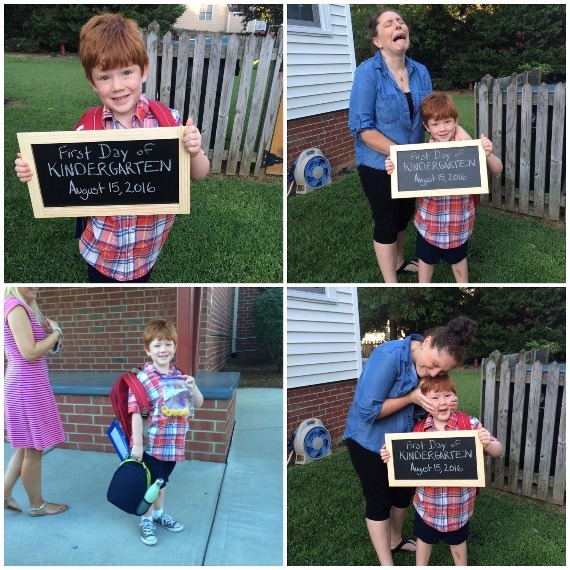 What on earth am I going to do when he goes to college (uh- get an apartment down the street-duh!). Tucker on the other had- could not have been more excited. He has been ready for weeks now- and was really looking forward to the addition of "morning snack" ( I think he may love food as much, if not more than his mama). 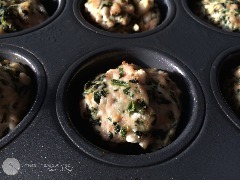 Last week I made a batch of my Meatball Meals and threw them in the freezer. We were out of town this weekend and I wanted something super easy to heat up this morning as I knew I might be a hot mess (which I was). 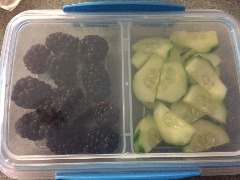 With the addition of some fresh berries and cucumbers and a piece of buttered bread- a quick and easy meal is made! And for the much anticipated snack- I packed a favorite from preschool- plantain chips and peanut butter. 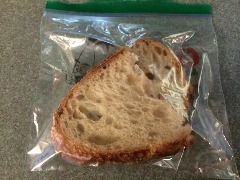 Ok so mama's, is it possible to pack a healthy and delicious lunch for your babies first day of school after you have been out of town the whole weekend before? You may serve it with a side of tears, but where there's a meal, there's a way! ...And this is the moment where I lost it- but don't worry I got it back.